I was so excited to review this sweet children's book.. 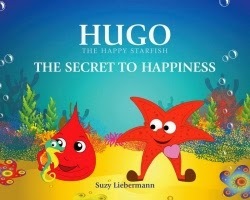 Even though it is a children's book, it includes a wonderful message for the whole family, in fact the next time your teenager complains about "not happy", bring out this book and make them read it, they will change their mind. Happiness is within, not circumstances etc will change how happy or unhappy we are. Read it and let it speak to you. This looks like such a cute book! I've been working on building up my mini library of kids books for when my nieces and nephews come over.